I’m in San Francisco this week for work. That makes it difficult to develop and scan regular film, so this week, I brought my Doxie Go Wi-Fi with me so I could scan some Impossible Project film shots I took with my I-1 here and not lose my perfect record of posting on time every week for a year in the 49th week. 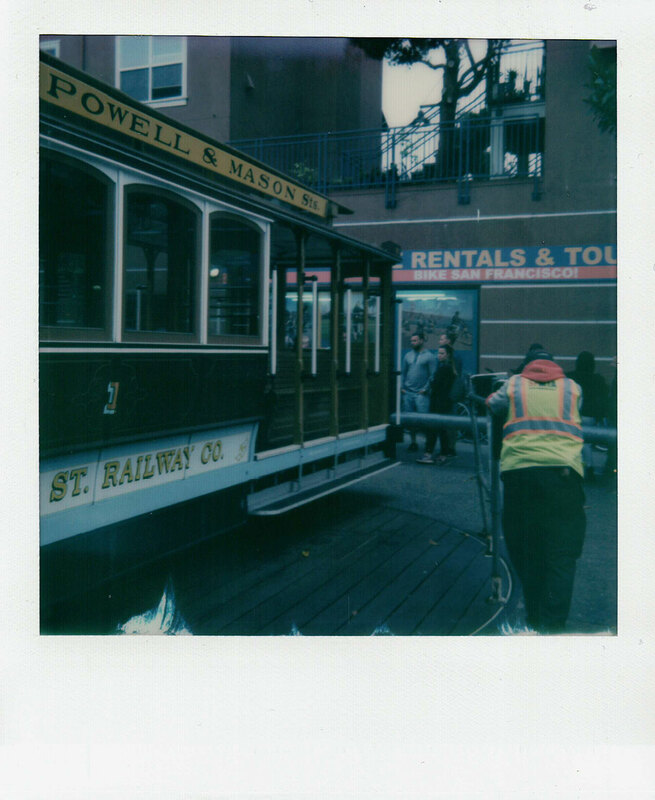 This is perhaps as hackneyed as a San Francisco shot can get, a Polaroid (well, not Polaroid, but Impossible) snapshot of a cable car. I waited in line for a half hour to ride a cable car from Fisherman’s Wharf, where my hotel (and my company’s office) is, to Union Square, where I went to the new Apple Store to purchase a charger for my Apple Watch, because I forgot my charger at home in New Jersey. It seemed fitting to take the trip to the Apple Store in an archaic form of transport. It was actually interesting to see how manual the process of running cable cars is. There’s a wooden turntable that the car rolls on to. Then the conductors lean heavily into pipes sticking out of the turntable to turn the car around so it can point in the proper direction. It seemed only right to shoot such an archaic procedure with an archaic technology. It would have also been a good idea to get this shot with my large format Wanderlust Travelwide, but since I’m away, you wouldn’t get to see that shot this week. 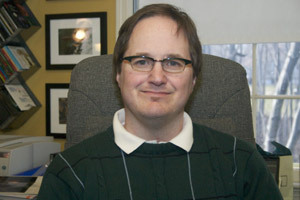 Maybe I’ll try to get that shot for next week in my remaining days here in the city of cold and fog.